Early Childhood Court works with parents whose children are between the ages of 0-3 who are temporarily removed from their care. 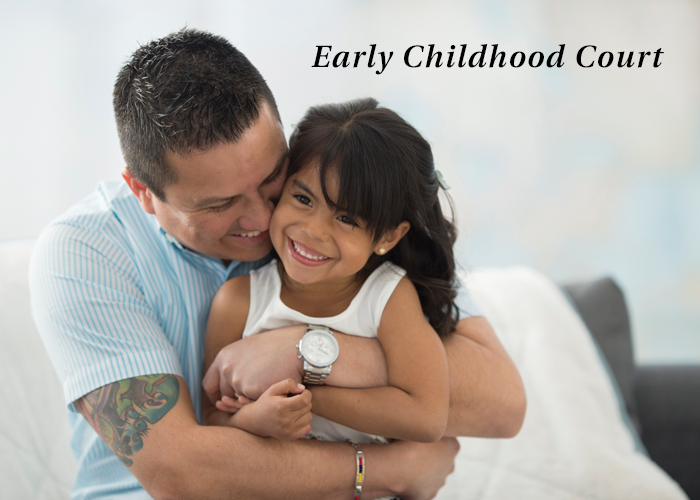 Early Childhood Court provides a collaborative, therapeutic, problem-solving team approach with the goal of timely permanency for the child. Early Intervention for children occurs by fast tracking assessments and services. Our dedicated team of child advocates, therapists, child welfare professionals and service providers are committed to the families who engage in this opportunity. Engaged families are able to access more visitation and contact opportunities with their children, and participate in Child-Parent Psychotherapy to address and strengthen relationships. Additionally, they have access to a Community Coordinator to connect them with any necessary services and promote communication among the team members to support the needs of children and families. For more information, call (813) 837-7774.